Hi, my name is Gerrard and I am "Mr Smith". 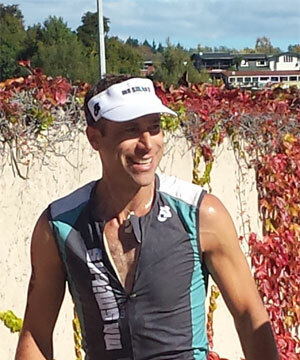 I have competed in all triathlon distances, cycling events, ocean swims, half marathons, and various other events. There have been plenty of successes in my training and racing, but I've had some hard lessons too: training approaches that didn't work, injuries, and poorly executed races. I've taken some knocks, and you get the benefit of these hard lessons. I wanted a name that was different to all the other "performance coach" kind of names out there. Yes you still get the performance with my coaching but you also get a lot more support and personal service along the way - not just a boring old training plan. To me coaching is about far more than just a training plan. To me coaching is about providing the support you need to reach your goals. For some this is the accountability of regular checkups by the coach, for others it is helping to make sure training is done appropriately, and for others it may be that support is only needed occasionally to prepare for events or when things aren't going to plan.